Arthritic first metatarsal joint with loss of motion. 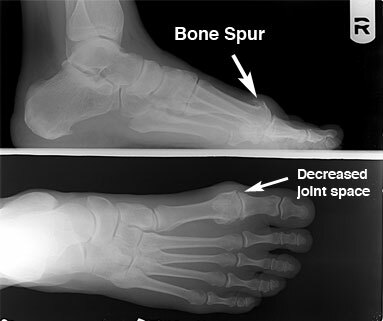 This arthritic condition of the First Metatarsal Joint, results in loss of a very important motion necessary during gait. It, like most of the chronic pain conditions in the foot, is caused by the way we walk and stand. Certain foot types appear to be more prone to this particular condition, but gait is the causative part of the problem. 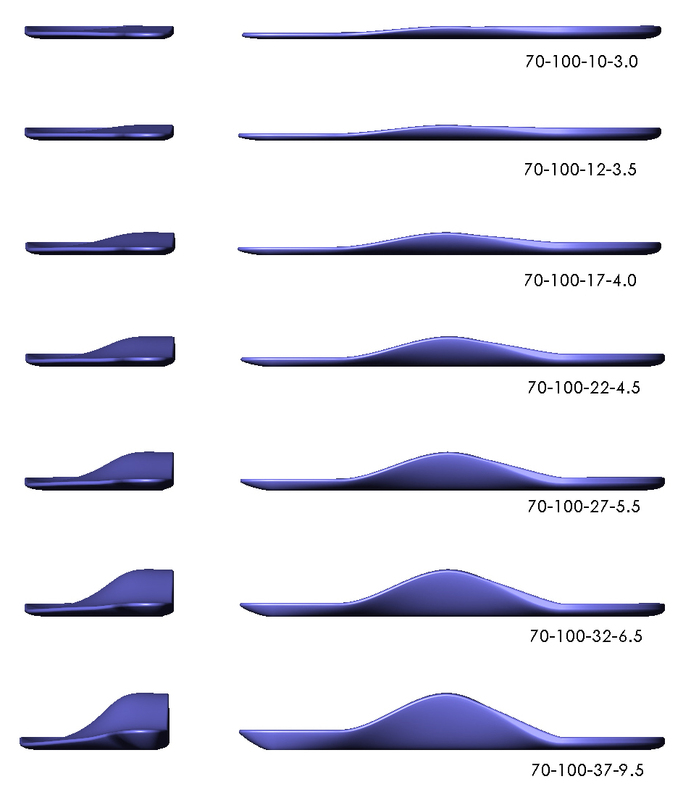 Traditional orthotics change gait but NOT ENOUGH to stop the process. Unfortunately most of the prescription orthotics used to treat this condition, fail to improve bio-mechanics sufficient to relieve the chronic and progressive symptoms. It becomes obvious to most patients that weight bearing activity aggravates the clinical symptoms. In fact a significant increase in your activity level my trigger an acute flair up where symptoms that often include swelling, increase to a point where medical help is required. A Cortisone cocktail, directly into the joint often provides temporary relief of excruciating pain. A variety of surgical procedures are used to treat both early and late stages of this progressive condition. When the condition is advanced, with complete loss of motion, joint destruction surgical procedures may be the best treatment of choice. Unfortunately even procedures that attempt to restore function and resolve the causative forces do little for the gait problems. Symptoms may be resolved in the first metatarsal area but gait malfunction is unchanged an new chronic pain syndromes in the foot knee and back intensify with activity. Progressive treatment with Theta angular correction creates more change. Theta-Orthotics with MORE angular control throughout the entire gait cycle, can stop the pain in both moderate and advanced stages of this painful condition caused by the way we stand, walk and run. Before you consider surgery consider a permanent non-surgical solution to the problem. Consider a progressive treatment with Theta that will change the way you walk and stop the cause of many chronic conditions in the foot , knee and back. More Theta = Less joint pain even with activity.